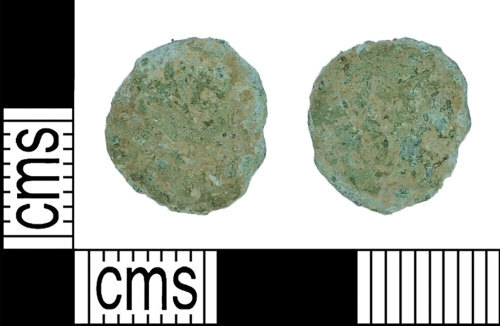 A incomplete worn copper-alloy nummus, probably of the House of Constantine (AD 307-361) dating to the period AD 347-348 (Reece Period 17). Probably a VICTORIAE DD AVGGQ NN reverse type depicting two Victories standing facing each other holding wreaths. Uncertain mint.